Welcome to the July “Punk” freebie challenge. 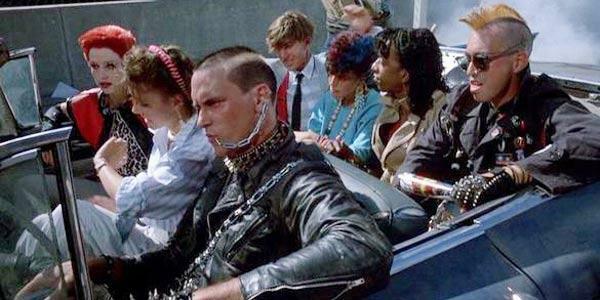 For this challenge the focus will be on the punk subculture. I will be looking for images that characterize things like anti-establishment views and the promotion of individual freedom. This can manifest itself through fashion, music, interfaces between punk and traditional cultures. You can go for a 50's punk, a 90's punk or a punk of today. You can do a rebel without a cause or a kid just enjoying his favorite punk band. For this challenge, you must create a punk scene. 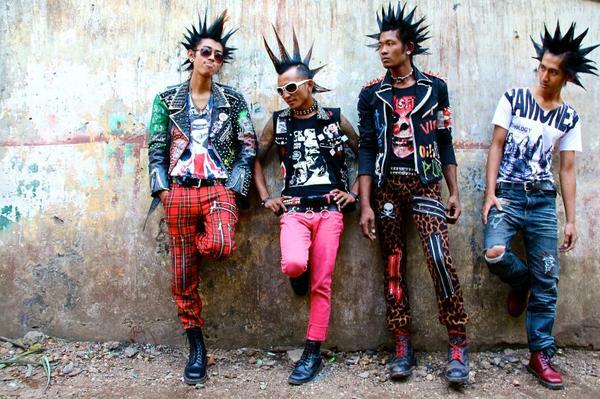 It can be a portrait, it can be a street scene, or it can be an image of the lastest fashions in the punk world. Toon renders depicting the genre are also acceptable. Cookie and Chip as Natalie and James would be so charming. Good luck and by all means have fun. http://www.daz3d.com/forums/discussion/286/. As BWSman says, "Please read them good....."
I am going to change up the rules for the paid fors requirement. I want to try to pull in artist's freebies that we don't normally see. So I am dangling a carrot to see what comes of this. For this month a paid for will not count towards the 3 paid fors limit if you associate a freebie (used in the render) directly designed for the paid for item (used in the render). An example would be if you use Isabelle for Genesis by Jabba then Evolution Head and Body morph packs do not count towards your limit of three. The freebie artist must identify somehow such as in the read me or description that the paid for is required to use the freebie. I am disallowing freebie/paid fors that provide better material settings for Poser, DAZ, Bryce etc. Although of invaluable use, I don't think that these kind of freebies fit the spirit of offering the community a true new and different product and therefore should not counter the use of the paid for in the context of this contest. Format should be a link to the freebie and then "using" and then the link to the paid for. Link format is not limited. Use what ever you are comfortable with. What is required is the word "using" followed by the paid for. I will be checking the associated freebie for proof that the paid for does indeed be needed for the freebie to work. Below are examples of what I expect to see in your qualifying description of your render. Cho identifies the requirement in her categorey title of the freebie and Jabba in the sharecg description of the freebie. A note to all our winners, you must PM Jaderail that you have won and what place you are in. If you are the 1st 2nd or 3rd place winners, you must PM me with your DAZ account e-mail address so that DAZ can credit your account. Items used in the banner, in case you need some things to use. The winners for the June challenge have been announced! I can help judge also if you like. Hiro 3 (in the banner) would be a Base Figure and no-count. I like the banner. I might even enter something. Thanks Szark. You are most kind. Oh yeah, I want you too. Thanks Music. Oh sorry, my intent was to just list the stuff I used but you gave me an idea Eustace. It would be good to make the banner an example of what an entry should be composed of just to help those new to the challenge understand what they will have to do to get an entry accepted. I say that because I used Hiro Boys by Ruslan Nasrutdinov. I had my opportunity and missed it! Good catch and thanks. I would love to see some of your work in here. Punks come in all sorts of shapes and sizes. Why I bet even Louie da Man has some pictures of Louie da Boy tucked away somewhere. Thanks Szark. You are most kind.No problem at all. Oh, this sounds like a fun theme! "Having been the sort of punk with pointy hair and leather, I'll bite. It has to do with the most fundamental (perhaps only) "punk principle": Do it yourself. Adopt your way of dressing, playing guitar, living, etc. rather than the established way. Contrary to popular belief, it isn't about rejecting society . . . rather, it's about not accepting the prevailing norms as a script. You pick and choose the elements you want, and you leave behind the ones you don't want. I think [Girl Genius] somewhat lacks the sense of choice I'd expect in a "punk" genre. Everybody seems to be playing a part in a family history, a society, or a conspiracy. Nobody is blowing it all off, clearing his or her mind, and making choices." Hmmmmm... your changing the rules this month to suit the challenge better can be seen as punk, by that definition. Since the theme this month is PUNKS....do you feel lucky?....oh not that kind...ok. All punkers need a guitar to rock out on and they usually pick some nice ones to destroy. So, I am offering my donation for this month. 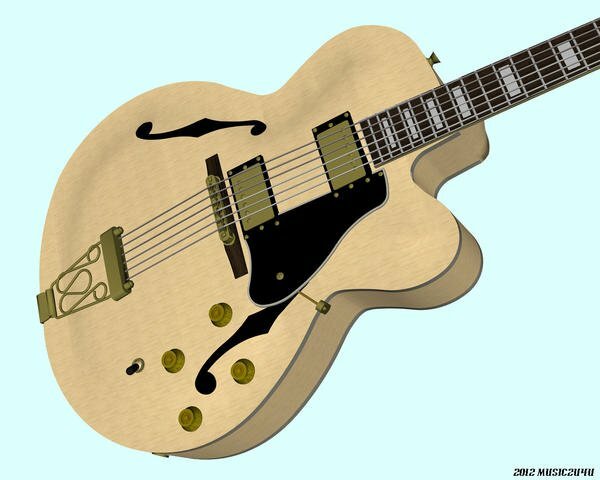 I will donate my "Gibson Birdland" guitar to the winner of this month. 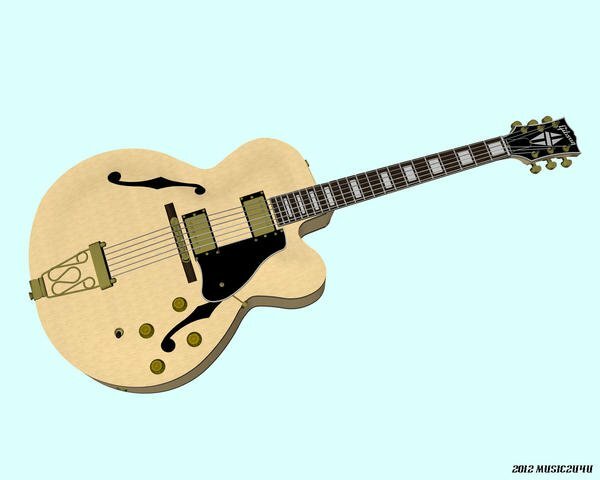 It is the same kind of guitar that Ted Nugent used all thos Gonzo shows he did. I think he was a punk ahead of his time...still is...lol. I also want to remind all the newbies that here at the Daz site, they issue a new freebie every Tuesday, evey week to all Platinum members along with a coupon you can use in the store for any Daz items. This means you get your membership fee almost completely back if you use them properly. Not to mention tons of regular priced items reduced down to $1.99 to boot. I encourage everyone to consider joining the PC as a member and see for yourself the amazing savings you will get. Go check it out. Thank you Music a very nice gift. What punk would be without their favorite guitar. So I just got done reading DS Creative, The magazine for Daz Studio fans. You can see what they have to offer, contests, freebies, tutorials, and some beautiful renders, here. You have to join the facebook group to get access to the magazine I think. Edited to add Dana sent you a PM. Do the free items using the paid-for items count toward the 10 required free items? WOW...hey Luci45...long time no see. Hope you are doing well. Good to see you up in here! Got it. Seems to be a Flash thing, not PDF. I sent it to my favorites, though. Thanks. 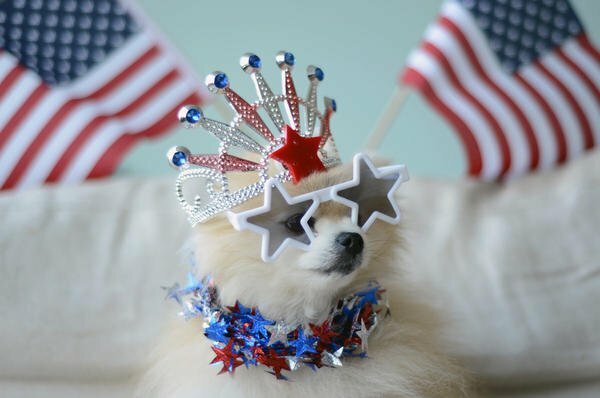 To those that celebrate the 4th of July, Happy Independence Day. So I have a little something for those people that enter the contest. It is not Punk related but it is what I am currently working on. I call it Fantasy Tiara and Earrings. The tiara and earrings are props that come into the scene at the correct position for V4 in the zero position. Formats are DAZ Studio 4.6, 3.0, and Poser. I have provided a gold set and a silver set. The objects take shaders really well and you can get some really neat results by just playing around. I still need to package it up but it looks like I have some time yet. So how it works. Once your image is accepted I will be PMing you with a link to the package. Below is a DAZ 4.6 render of the default gold settings under uber lights. 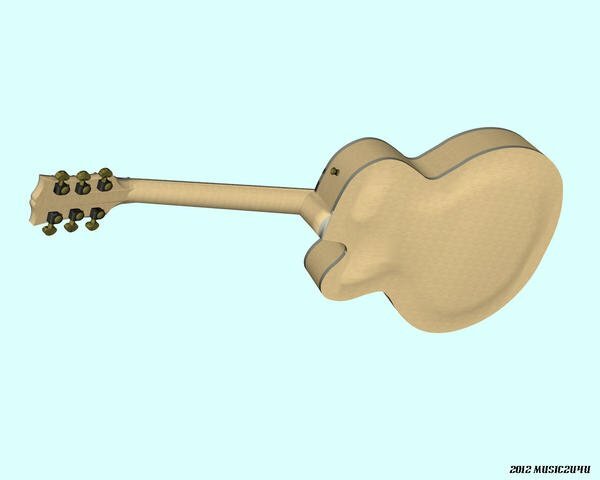 Studio 3 and Poser will have slightly different default settings. Is it that day again. There is a PDF format Dana. Just click on the Share link, and then the Download link on the Share page. Seems you have to log in to do that. I'm not in a hurry to sign up for more things. Maybe in a few days. Thanks. Signed up, see the "Share", don't see the "download", just a direct link URL for the same page. Is the magazine downloadable from Facebook? At any rate, I now seem to be signed up for a publisher's warehouse full of magazines I don't want. Nice one! Interesting lighting. I like the way the colors play! The theme this month was "PUNK". 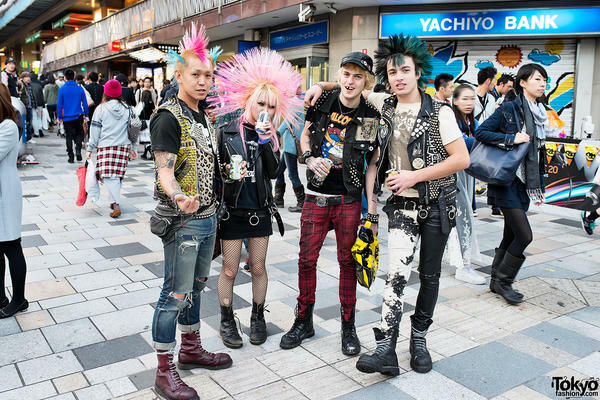 accordingly, THIS is PUNK....Harajuku style even (Japan), well known worldwide . Also the other is called "Mayanmar and Burma" style (Layos,Thailand,China,India). There are many more styles from other countries. The bottom one is American Punk. So that means that "PUNK" is a certain lifestyle and look. Just for those of you who are not sure what "PUNK" is.